Looking for new and exciting keto drink recipe to help liven things up on your diet? We’ve assembled a list of creative ketogenic drink concoctions that are deliciously unique. From refreshing cocktail substitutes, to replacements for sugary coffee drinks, here are our top keto drink recipes worth raving about. Sweet, refreshing and packed with the amino acids you need to preserve lean muscle on a diet. In a shaker cup, combine coconut water, Keto Aminos™ and ice. It may not be your usual Starbucks order but this keto coffee drink can be just as satisfying. In a blender, add the first four ingredients and blend on high until you get a smooth, rich consistency. Pour into a coffee cup, garnish with a cinnamon stick and enjoy! This warm cup of goodness is best in the morning but is also sweet enough to use as an after-dinner drink or dessert. Place all ingredients into a large glass and blend with a handheld blender or milk frother. This deliciously refreshing, tropics-inspired keto drink will have you dreaming of distant beaches. Garnish with an umbrella for the full effect. In a shaker cup, mix all the ingredients and shake thoroughly. The best thing about this cold brewed coffee recipe is that it you can make it fast. Perfect for those mornings when you are racing out the door. In a shaker cup, add all your ingredients and shake until you have an even consistency. Pour into a coffee mug or tall glass and enjoy. 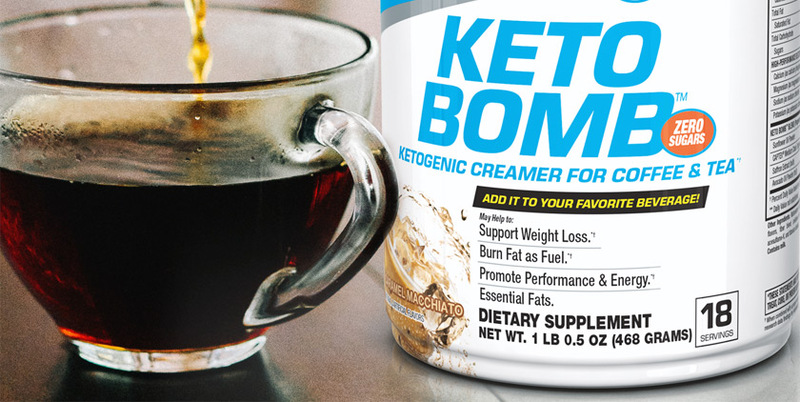 This delicious keto drink is like a big cup of dessert. It also packs a lot of nutrition to help you fight off the cravings for chocolatey and sugary snacks. In a blender, add all your ingredients and blend on high until you get a smooth, rich consistency. For more information on ketogenic supplements, check out Meet the Ketos: The BPI Keto Line.